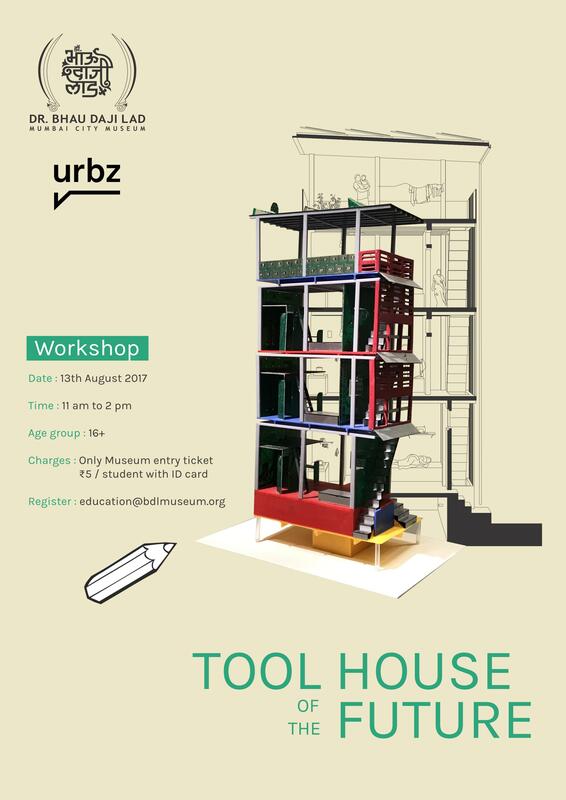 The "Tool-house for the Future" workshop explores the possibilities of reimagining cities from the point of view of live-work arrangements. Mixed-use zoning is widely recognized as an essential feature of vibrant urban life. Artists lofts in Berlin or Brooklyn, designer studios in Tokyo or Rio, artisan's ateliers in Paris or Dakar, mixed-use houses are everywhere. Mumbai's homegrown neighbourhoods, like Dharavi, Bhandup, or Shivaji Nagar, are full of what we call tool-houses, which combine residential and income generating functions. Yet - these are seen as primitive by mainstream architects and planners. We believe that there is much we can learn from them and that they should be taken very seriously by urban practitioners. Can we invent the tool-house of the future instead of dismissing it? In the workshop we will draw from existing examples in the Mumbai - tool-houses in Dharavi, a designer's home-workshop in Khotachiwadi or an apartment film-office in Versova to weave a story that involves design as well as a re-imagining of urban spaces. This 3 hours workshop at the Bhau Daji Lad Museum is part of the Mumbai Return exhibition. It will be animated by the urbz Mumbai team. It is open to architects, designers, artists and everyone else who wants to explore the programmatic and design potential of the tool-house typology. Bring your tools: laptop, pens, scissors, colored paper - whatever you need to get your creative juice flowing!